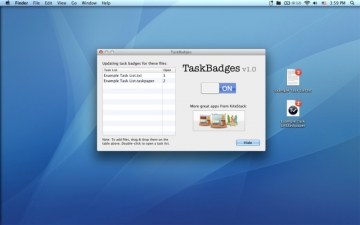 [無料] TaskBadges | Mac App Storeのアプリ検索・ランキング BuzzMac! There was an error deserializing the object of type System.String. Encountered unexpected character 'â'. 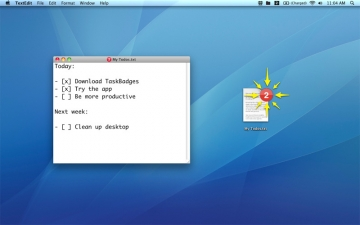 TaskBadges adds the number of open tasks in your plain-text to-do list to the file's icon in Finder and on the desktop so that you always know how many open tasks are remaining simply by looking at the file. Also comes with a menubar icon for quick access to your to-do lists. Examples of all styles are included with the app.